Technology has helped to address many health-related challenges. Now a new technology, 3D printing, is being used to print foods. These foods can make eating much easier and more nutritious for those with swallowing disorders. In fact, 3D printed food may be the future of personalised nutrition. It might sound like science fiction but 3D foods are created using a 3D model file from a computer. This file is then used to create thinly sliced layers that make up an object – in this case, food. It allows food to be prepared in an automated manner. The most common food printer is a deposition printer, where layers made of raw materials are deposited. Any ingredient that can pass through a hollow needle can be used in 3D food. This new technology shows promise when it comes to health and personalised nutrition. How can 3D foods benefit health? 3D foods have great potential to be used as therapeutic foods in healthcare, particularly for those with dysphagia. Dysphagia is a medical term used to describe difficulty swallowing. It affects up to 8% of the world’s population (1). For those affected, consuming food can be stressful and even dangerous but 3D foods make it easier and safer by creating appropriate textures. There are also potential benefits for those who are malnourished. 3D foods can often retain more nutrition than traditional pureed food, and can be fortified with additional nutrients, such as vitamins and minerals. This allows people with poor appetite to consume more nutrition, supporting their recovery and wellbeing. One of the most exciting benefits of 3D food is the appearance and resulting impact on consumption. People with dysphagia often have poor appetite, as soft textured food has an unappealing appearance. But 3D food technology has made soft textured food far more appealing. This can lead to improved compliance and consumption of food. With more nutrition consumed, people with dysphagia can reduce their risk of malnutrition and problematic weight loss. 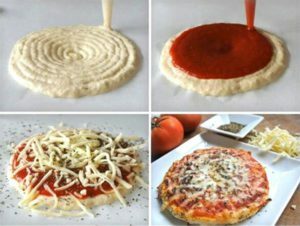 What foods can be made with a 3D printer? These delicious foods are far more appealing than conventional soft foods that those with dysphagia are typically offered. They also retain more nutrients and flavour. Printed food is only in its infancy right now. It’s predicted that in the future, 3D food printing will be done at home. The first at-home 3D food to be created may be chocolate. A Dutch company has designed an industrial 3D food printer that can print chocolate. They expect to follow this with a household appliance in the near future. If this trend continues, one day, every household may have a 3D food printer. This has the potential to improve the nutritional status of anyone with deficiencies. In the future, 3D food may be the key to personalising nutrition for those with health conditions. The possibilities for using 3D food to optimise well-being and nutrition are endless. Cichero, Julie AY, et al. “Development of international terminology and definitions for texture-modified foods and thickened fluids used in dysphagia management: The IDDSI Framework.” Dysphagia 32.2 (2017): 293-314.